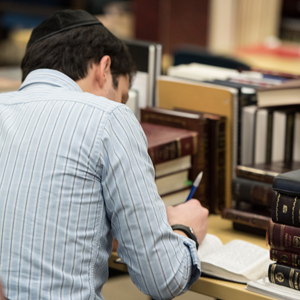 During Yeshiva University’s annual intersession break after final exams, Torah learning continued in full swing through the Yeshivas Bein HaSemesterim program, where students on campus focused on spiritual growth and Judaic studies in a relaxed and close-knit atmosphere. This year, the program included over 30 special shiurim [lectures] on a wide range of topics from the faculty of the Rabbi Isaac Elchanan Theological Seminary (RIETS). This was in addition to daily classes by Rav Hershel Schachter and Rav Mordechai Willig, RIETS Roshei Yeshiva/Roshei Kollel. Several faculty hosted the entire group of students on different occasions for group dinners at their homes, and the group traveled to Monsey to visit noted speaker and Rosh Yeshiva Rav Ephraim Wachsman at his home for a private session. 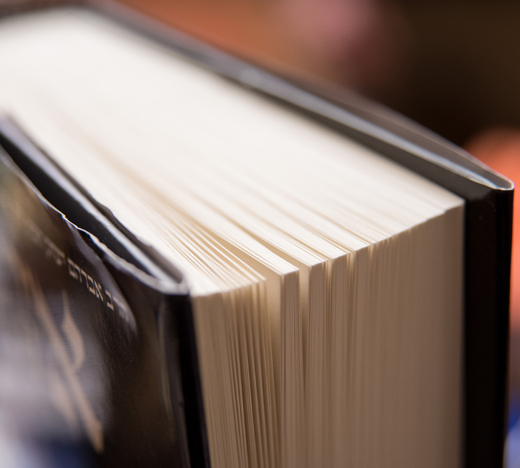 Overall, it is a unique opportunity for participants to be exposed to Torah personalities that they may not otherwise have the chance to hear from during the semester. Students were treated to delicious meals three times a day at a significantly discounted price as well as snacks and some late-night treats. The study atmosphere was low-pressure so that students could re-energize and still be highly productive. The participants appreciated the chance to meet new friends and socialize at communal meals and athletic activities and on trips.